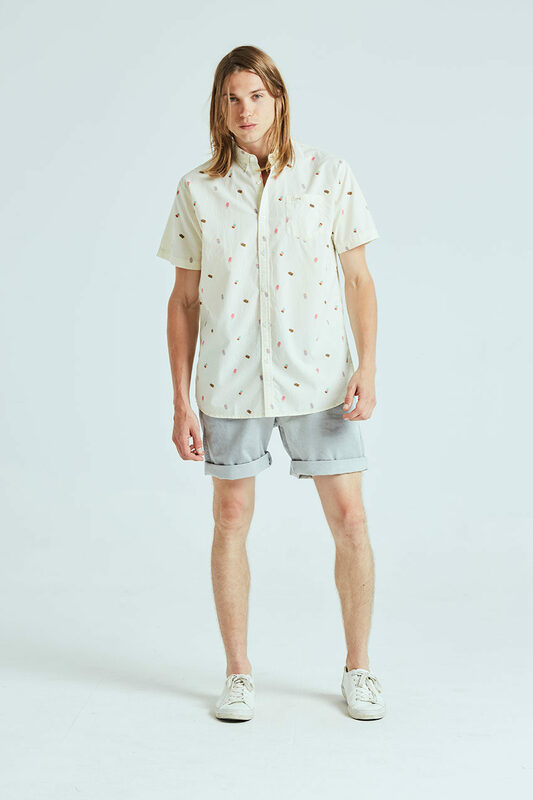 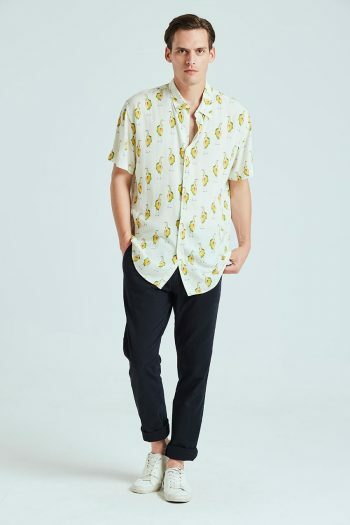 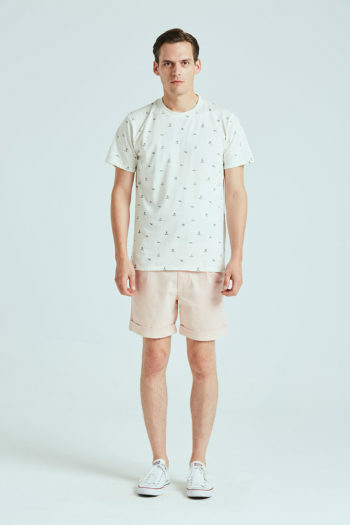 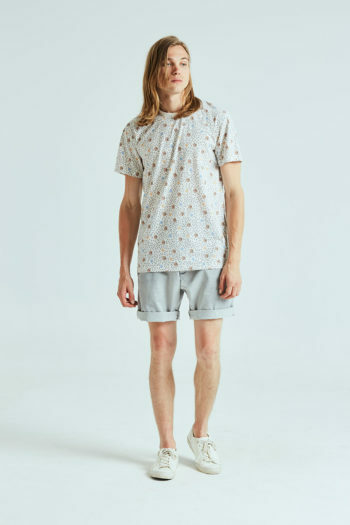 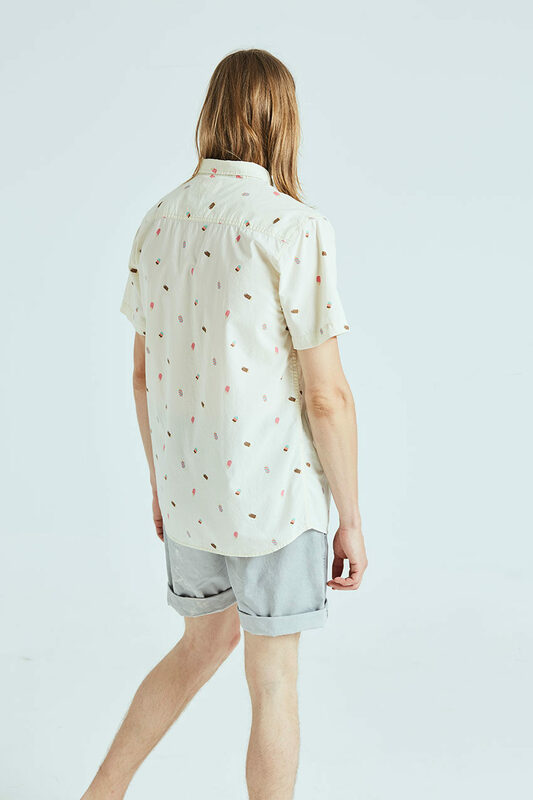 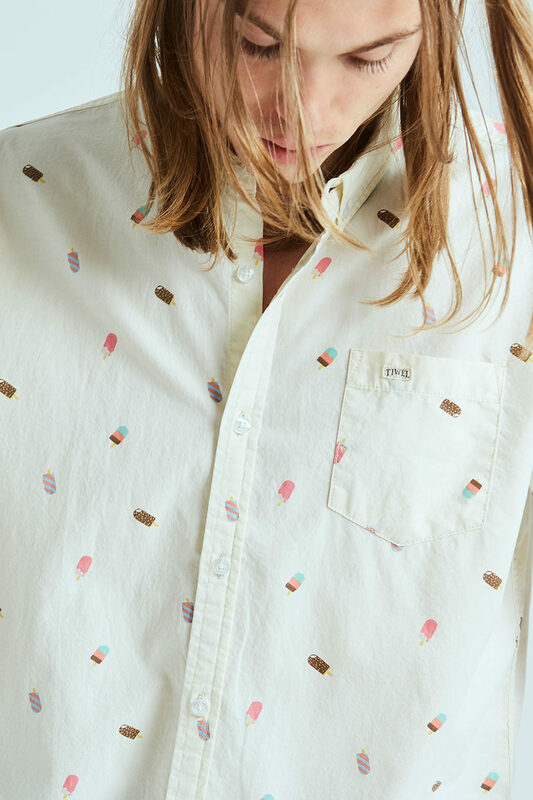 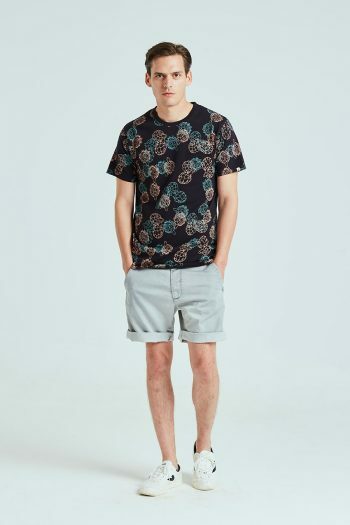 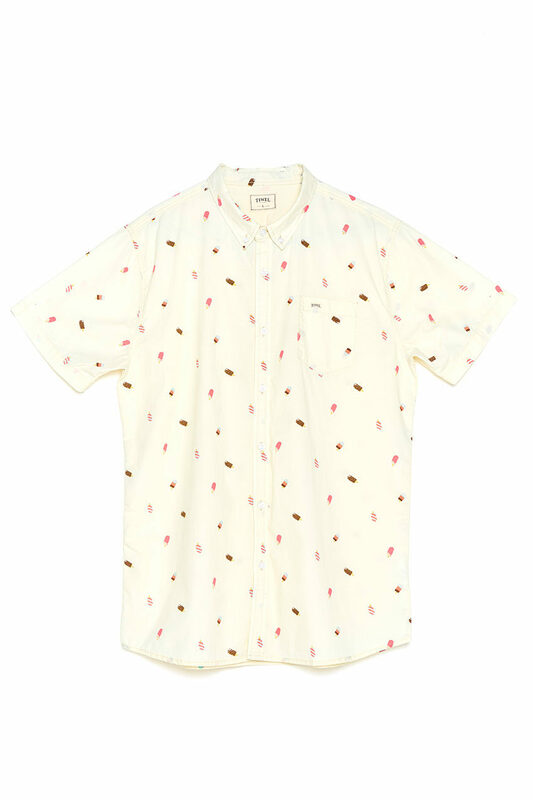 Ice Shirt, short sleeve, decorative all-over-print with polos and ice creams for the spring-summer collection. 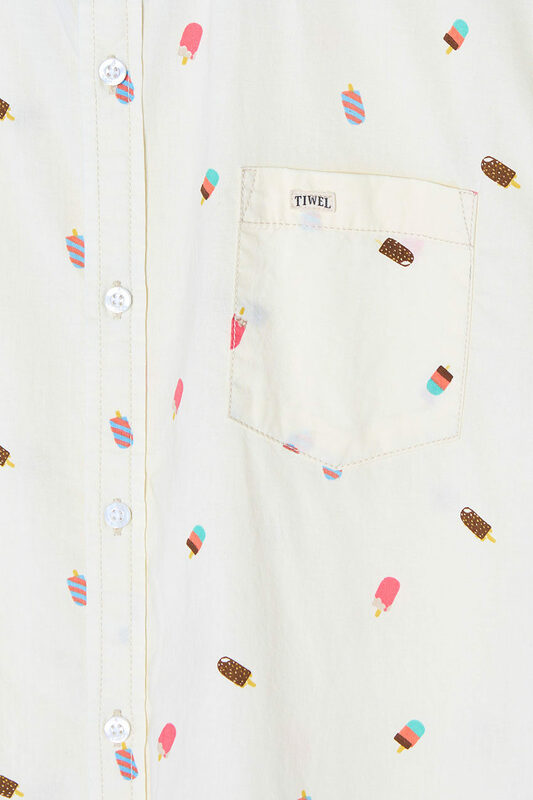 Matching buttons. Collar buttons. 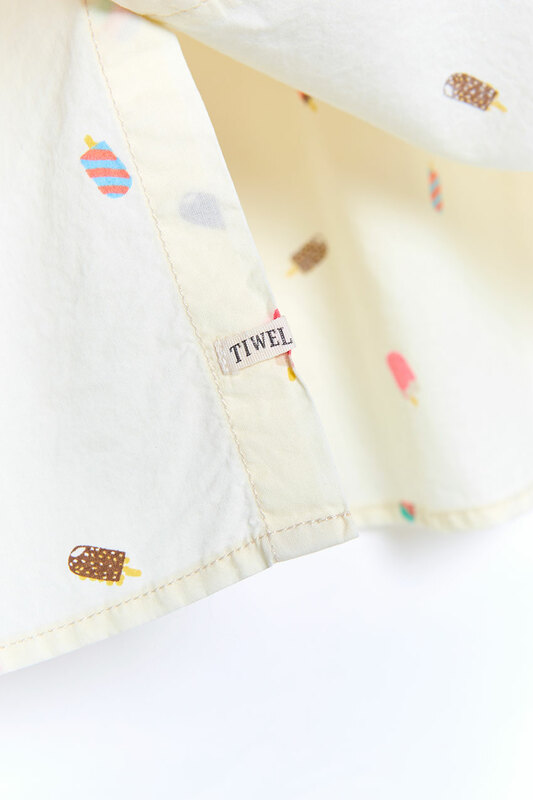 Chest pocket with flag logo. Softener washing.